"I got error message while playing .mkv file in Windows Media Player, saying 'Windows Media Player cannot play the file. The player might not support the file type or might not support the codec that was used to compress the file.' Is there a codec out there that works and will let me watch this video on Windows?" MKV nonsupport by Windows Media Player (including the latest WMP12 and former generations) produces issues when playing MKV files on Windows. Seek out the exact MKV codec for Windows Media Player that can well handle playback error? Here, we will tell you where and how to download MKV code for Windows Media Player Windows 10/8(.1)/7. MKV boasts its capacity for holding video, audio, picture and subtitle tracks in one file, just so it becomes one of the most fashionable formats for movies and TV shows. Microsoft exactly learns how popular MKV is at present and announces that the new operation system Windows 10 will natively support MKV out of box. According to the test on Windows 10 Technical Preview, MKV files can be flawlessly played in Windows Media Player, which means that MKV codec for Windows 10 Media Player has already installed so that you don't need to explore a third-party pack. Tip: Although WMP12 is still available for Windows 10, it is not a system-attached player any more. Therefore, you need to download Windows Media Player on your PC or seek for other MKV players compatible with Windows 10 to perform MKV playback. Windows 8.1, 8, 7 users often come across problems on playing MKV files using Windows Media Player (12) for MKV is not included in the list of supported file types. Microsoft figures out that additional file formats might be supported if you installed new codecs in Windows, such as MP4, AVI, MKV, H.265, etc. To get MKV codec is the best solution to fix this error. But, where to download MKV codec for Windows Media Player? It is a versatile codec pack for Microsoft Windows Media Player containing overall modern video/audio file types, of course MKV and supporting SD and HD resolutions, 720P, 1080P, 4K or even 8K. The latest version 4.3.8 is compatible with Windows 10, 8.1, 8, 7 (32 & 64 bit). Open www.mediaplayercodecpack.com and tap 'Click to download' link on the homepage to get MKV codec for Windows Media Player. Originally designed for anime video playback, CCCP now is developed as a simple but all-sided video compression filter for Windows 10, 8, 7, XP and Vista. 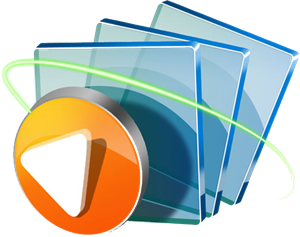 With the support for various video formats, it is capable of playing MKV animations in Windows Media Player trouble-free. It is suggested to download the newest pack from the official site. ffdshow is a DirectShow filter and Video for Windows codec based on FFMPEG library, which is mainly used to decode H.264/DivX/Xvid videos as well as supports a wide range of video and audio formats, for example MKV. After installation of ffdshow, the compatible Windows Media Player can automatically use its decoder for playing MKV files. It is available for Windows XP and later systems. Download any one of the above mentioned MKV codec for Windows Media Player and you can find the .exe file in folder. Double click it and follow the steps to install. After that, the MKV video can be played on Windows 8(.1)/7 smoothly. You can also download and install those MKV codec packs on Windows 10 for special purposes. Play More Windows Media Player Incompatible Formats on Windows 10/8(.1)/7? Some people get used to Windows Media Player and would rather download codec pack for playback more WMP incompatible video formats, like FLV, WebM, VOB, HD camcorder videos (MOD, TOD etc. ), while more people turn to other powerful third-party best free media players which are available to play any video formats without MKV or other codecs installed on Windows PC. 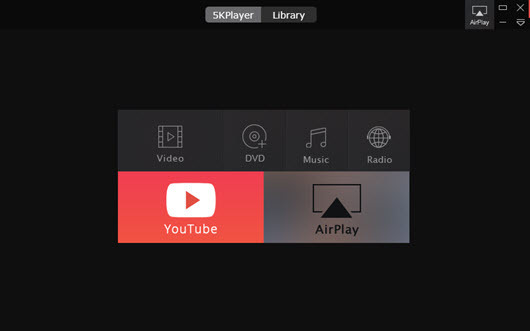 5KPlayer is such a perfect video player supporting any HD/SD video formats, MKV, M2TS, AVCHD, MOD, TOD, MPEG2, VOB, MP4, AVI, WMV, MOV, FLV, WebM, M4V etc. as well as audios MP3, WAV, FLAC and more. It is not only a player but a great video downloader to free download movies/videos/music from YouTube, Vimeo, Dailymotion, MTV, Metacafe and similar sites (300+) without original video/audio quality. Bundled no adware, malware and virus, it is no harm to your computer at all. On the other hand, video converter software can also help you play Windows Media Player incompatible formats smoothly without installing WMP MKV or other codecs via converting them to MP4, AVI, WMV, the best video formats for Windows 10/8(.1)/7. * Convert any SD/HD/4K/8K videos in formats MKV, FLV, WebM, MOD, TOD etc, to AVI, WMV, MP4, MP3, WAV, AAC, FLAC for playback on Windows 10/8(.1)/7 trouble-free. * Download and convert online videos to video/audio formats supported by Windows 10/8(.1)/7 and Windows devices, iPhone, iPad, Android, Kindle Fire, Xbox, PS3/4 etc. AAC Codec Free Download for Windows 10/8/7 etc.